The national cricket players and officials have been urged to become good ambassadors while representing the country overseas. 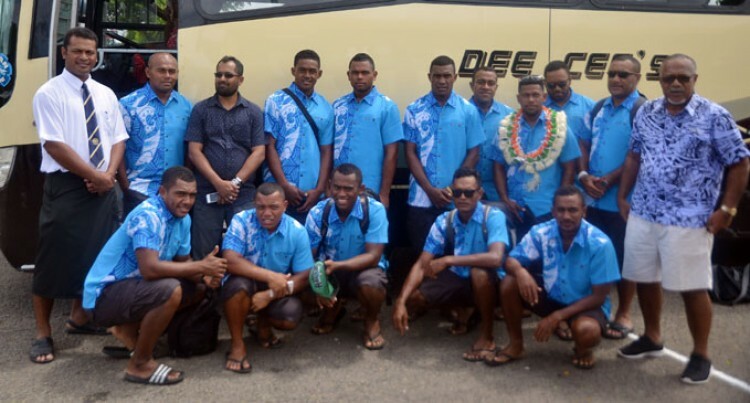 The message came from Cricket Fiji acting executive officer, Setoki Galuvakadua, before the team departed for Bendigo in Melbourne, Australia yesterday. “Go there and win and at the same time enjoy the game,” he said. Galuvakadua said the players have prepared well under coach Joe Rika and they understand the importance of the task ahead of them which is to win and get promoted to Division Five. He pointed out that the weather conditions could be an obstacle to their campaign. “It’s very hot over there and I know they are well prepared for that. Physically they have trained well and when they arrive they will spend five days training on the turf pitches so that they are used to it.” Galuvakadua said there is a need to have a turf pitches here in which they could train on. “There have been talks to build one which will help develop the players. Rika hopes the players would enjoy themselves and play their hearts out after settling into their new environment. “Our game kicks off on Sunday afternoon and we will be expecting tough competition and I want to make sure the boys are ready for it as we have one week to prepare so we will have ample time. “For the young boys I want them to learn as much as they can and hopefully built towards the future. I want them to keep it simple and play the way they always play,” Rika added.